Following the launch of the world exclusive Kimberley Treasure coin, The Perth Mint has sold the spectacular masterpiece to an international buyer within just 48 hours of its release. 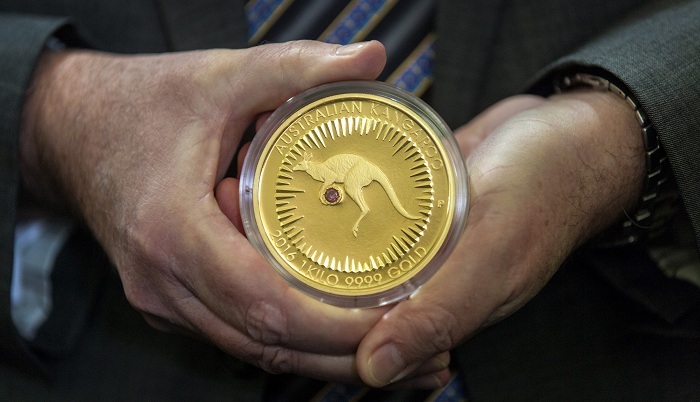 Crafted from one kilogram of 99.99% pure gold and featuring a radiant 0.54 carat red diamond from the famed Argyle Diamond Mine in the East Kimberley region of Western Australia, the Kimberley Treasure coin is a one-of-a-kind collector’s item and valuable investment. The new owner of the coveted piece is Ashish Vijay Jain, Chairman of Tiara Gems and Jewellery DMCC, a company which specialises in rare coloured diamonds, unique collectables and heirloom pieces of fine jewellery. “With an appreciation for Western Australia and its rare treasures, we are honoured to bring this prestigious collectable to Dubai, the luxury hub of the Middle East”, said Mr Jain. “At Tiara Gems we believe in the collection of extravagant items and endeavour to acquire many rare and exclusive pieces from around the world, such as the Kimberley Treasure coin”, he added. 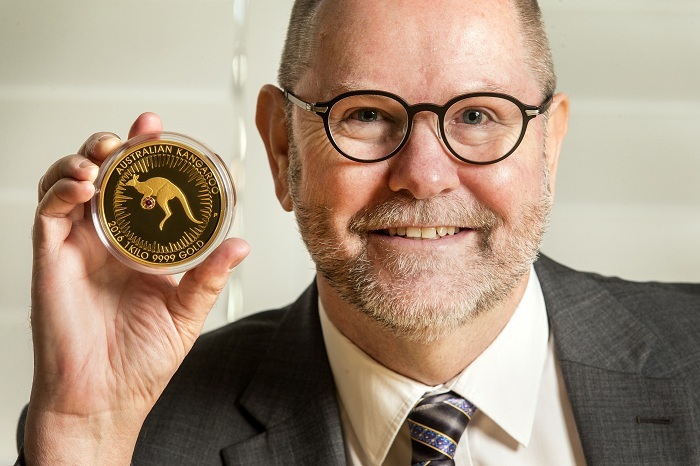 Perth Mint Chief Executive Officer, Richard Hayes, said he was delighted that the Kimberley Treasure coin had attracted so much interest from collectors and investors, with several interested parties vying for the privilege to own such as unique treasure. “This is a testament to the coin’s status as an object of desire and it has certainly found an ideal home in Dubai,” he added. The Kimberley Treasure coin will be on display in The Perth Mint Shop, 310 Hay Street, East Perth, until Sunday 14 August.